Is sleep insomnia making you sick? Sleep insomnia is a condition where you don’t get enough sleep or rest, regardless of whether you sleep at night or during the day (shift workers). It is all about quality of sleep, so whether you sleep for 5 hours or 10 hours, if you wake and feel terrible, then you are not benefiting from your sleep cycle. Apart from feeling tired when you wake up and tired and frustrated during the day, sleep insomnia can have some quite serious side effects, causing your health to be affected in many ways. Most of us have a few sleepless night now and again, but when you always have problems falling asleep or staying asleep, your chronic insomnia can become quite debilitating. Once you have chronic sleeping problems, simply going to bed early or drinking a mug of cocoa isn’t going to solve your insomnia. On top of all of the associated health problems that come along with insomnia, the economic costs of sleeplessness can also be significant. 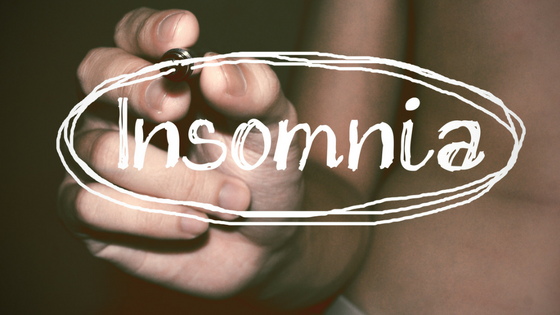 In fact, it is all of these health problems associated with insomnia that can lead to more visits to the doctor, more health tests and more medications, increasing the consumption of our health resources. You might or might not be surprised to learn that a large proportion of people suffer from insomnia, anything from 10 to 35% have been reported. So let’s take a look at the health concerns of sleep insomnia, so you can understand how important it is to treat your lack of sleep. We have long known that insomnia and heart problems are linked, so let’s look at some of the recent research that supports this conclusion. 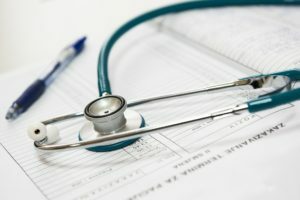 A large longitudinal study in 2015, studied more than 40,000 of the population in Taiwan and found that there was a statistically significant increase in heart attacks (myocardial infarction) and in strokes in people who suffered from insomnia, regardless of age, gender or other existing illnesses. An earlier Norwegian longitudinal study in 2010, also found an association between sleep insomnia and heart attacks. In 2011 another Norwegian study found the same results, as well as the fact that as increase in insomnia can lead to an increased risk of a heart attack. Clearly, whilst there are many more mitigating factors in the cause of a heart attack, treating your insomnia can have a positive effect on your heart and your overall health. A cross-sectional Chinese study in 2014 found that women who suffer from insomnia are at an increased risk of high blood pressure. Whilst this study was not able to show that sleep insomnia actually caused high blood pressure, this is another good reason to start trying to solve your sleep problems. A 2013 review of published studies at that time also found evidence that sleep insomnia is associated with increased blood pressure and an increased risk of hypertension, even when other risk factors were considered. Another study in the US and published in 2013 also found that the risk of hypertension was greater in people with insomnia than in normal sleepers. On the other hand, a 2014 study in the Journal of Clinical Psychology found that there was no association between hypertension and insomnia. Then of course, there is a study in 2010 that found a link between insomnia and subsequent sleep apnea, as have many more studies in recent years. 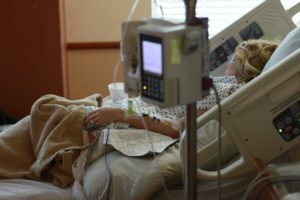 Despite the one study that didn’t link insomnia with high blood pressure, there seems to be an overwhelming amount of evidence demonstrating this link, as well as with a stroke, with sleep insomnia being a precursor to these conditions. This is even more reason to find a solution for your sleeplessness. 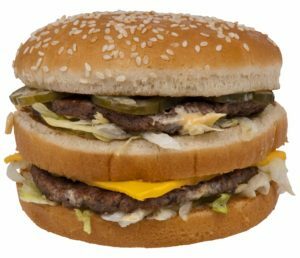 There is plenty of research that demonstrates a link between insomnia and obesity. For example, a 2013 review of the literature found that sleep insomnia is related to obesity, but couldn’t place the evidence on one being the cause of the other. A 2013 study did find a link between sleep loss and an increased risk of obesity and in 2015, another review did find that sleep insomnia can cause obesity and diabetes, calling these results intriguing, because given the dramatic increase in both obesity and diabetes in western society, many sleep problems can be resolved. Other studies have shown that the duration of sleep can influence the onset of diabetes. For example, in 2006, both long and short duration sleep was shown to be a risk factor in diabetes. In 2009, a study found a link between long duration sleep and type 2 diabetes, and in 2012, another study found a link between short duration sleep and type 2 diabetes. These studies give you plenty of good reasons to resolve your difficulties with sleeping, particularly if sleep insomnia increases the risk of both obesity and diabetes. Most of us can become befuddled due to lack of sleep, but now research has also found evidence of a link between sleep insomnia and moral judgement. A 2007 study in the US found that sleep deprivation impairs our ability to use emotions and cognition to guide moral judgments. In other words, we are too tired to think properly and make very bad decisions. A Norwegian study in 2010 supported this earlier study, finding that sleep deprivation impaired the moral judgments and behavior of military officers, making them more dependent on rules-orientated reasoning. The more mature their original reasoning, the more sleep deprived they were, the more they fell back on their rules-based reasoning. We even have research that links sleep deprivation with suicide, insomnia with depression, insomnia with poor quality of life, and insomnia and stress. All of this means that finding a solution to your sleeplessness is important to your ability to make the right decisions for yourself and for your family, on a daily basis. What’s the solution for your sleep insomnia? Yoga to help you sleep better. A memory foam mattress to make you more comfortable in bed. A cool mist humidifier to add humidity to dry air that is causing you to loose sleep at night. An aromatherapy diffuser to use the power of essential oils to help you sleep. Even check out the SOMNOX Robotic Pillow, which is not yet on the market. 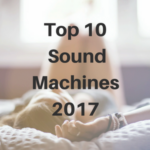 Check out the sleep sound machines on my Top 10 list. Whatever solution you try, resolving your sleep insomnia is a great step in helping to improve your health and to reduce your risk of heart attack, stroke, obesity and diabetes later in life. Find the best sleep sound machine to help improve the quality of your sleep.